Convenient to use, hand held tools. This Bestway filter cartridge will fit 300/330 gal/hr filter pump systems. Filter Cartridges fit inside your Filter Pump and catch dirt as it passes through the system. 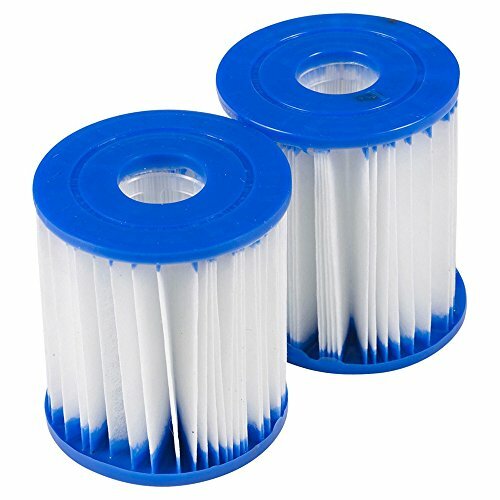 Bestway suggests that you replace the Filter Cartridge every two weeks in the summer to keep the swimming water clean. The colors may have different as the difference display,pls understand. If you have any problems, please contact us before open the dispute or give negative feedback,we will try our best to help you,thank you! ❀ This Bestway filter cartridge will fit 300/330 gal/hr filter pump systems. Filter Cartridges fit inside your Filter Pump and catch dirt as it passes through the system. Bestway suggests that you replace the Filter Cartridge every two weeks in the summer to keep the swimming water clean. View More In Pool Maintenance Kits. If you have any questions about this product by Hongxin, contact us by completing and submitting the form below. If you are looking for a specif part number, please include it with your message.